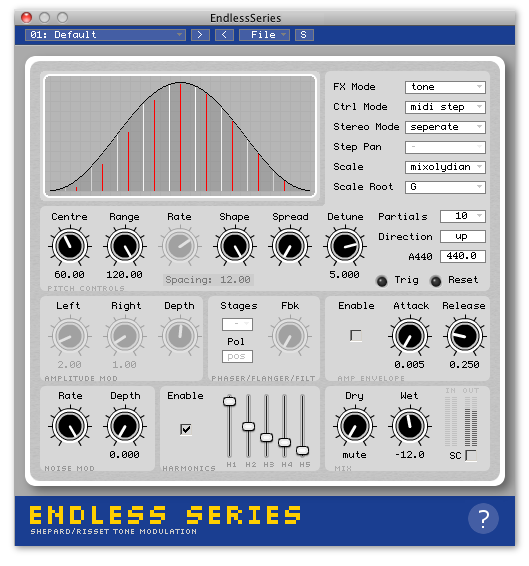 Oli Larkin has updated the Endless Series v3 plug-in for Windows and Mac. A unique effect based on the Shepard Tone auditory illusion, which generates mind bending infinite scales, psychedelic drones and fascinating sonic textures. Added installer (WIN) and improved OSX installer. Added VST3, RTAS and standalone versions. Changed stereo mode labels to “single” and “dual”. Changed “Waveshaper Enable” to “Harmonics Enable”. Now defaults to muted, to avoid loud surprises on load. Text entries now filter/limit number of characters. Fixed some hidden controls drawing when they shouldn’t. Fixed clicking envelope and midi reset. Fixed crash with long preset names. Fixed initialization of noise mod rate. Fixed disappearing audio in autostep mode with a small range. Changed scale root texts, to specify enharmonic equivalents. Increased headroom in standalone for less clipping. 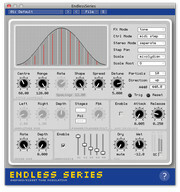 Endless Series is available to purchase for Windows and Mac (VST/AU/RTAS/Standalone) for £29.99 GBP. The Standalone version for Mac is also sold separately on the Mac App Store for £6.99 GBP.